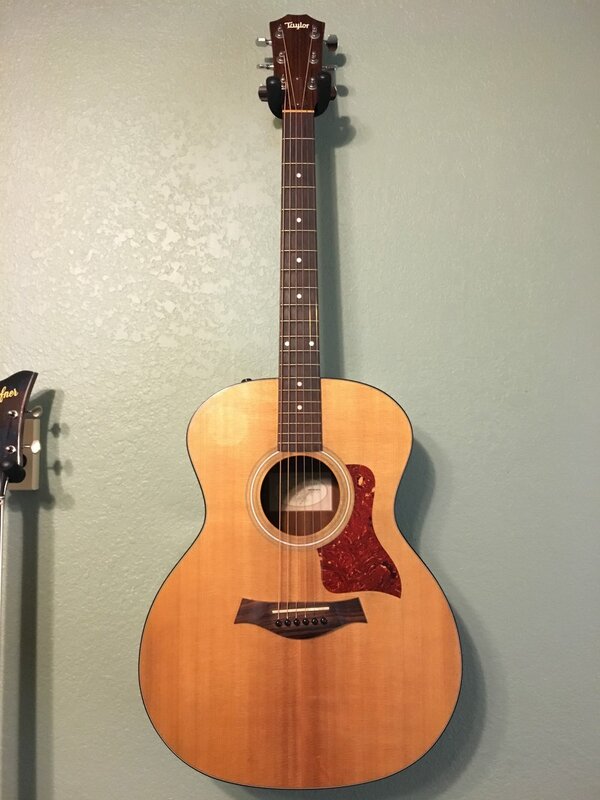 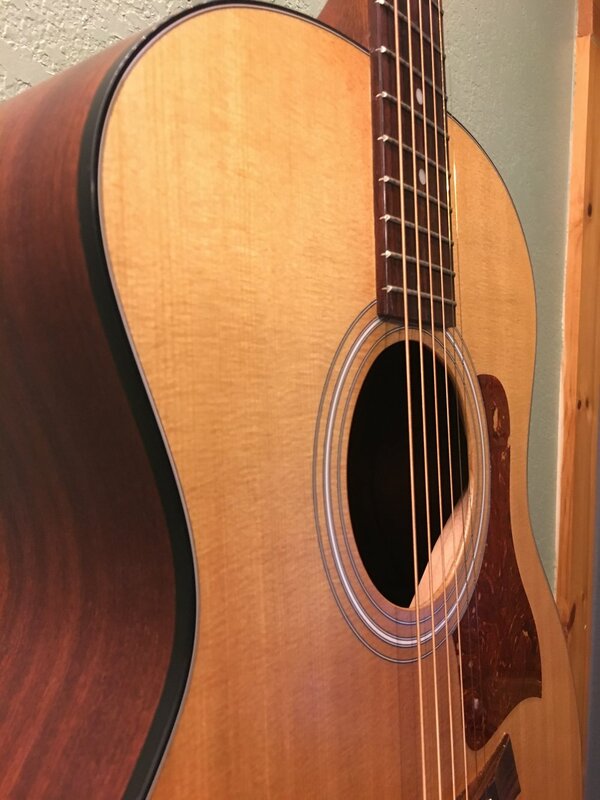 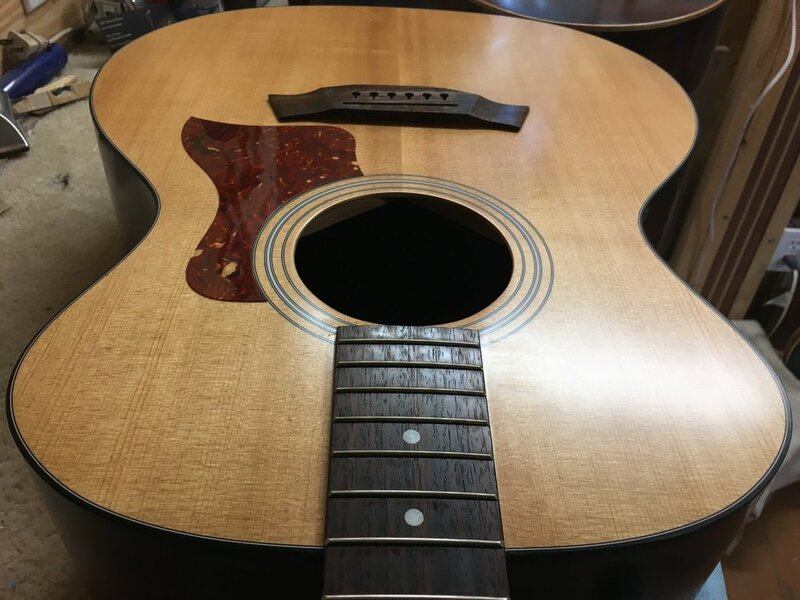 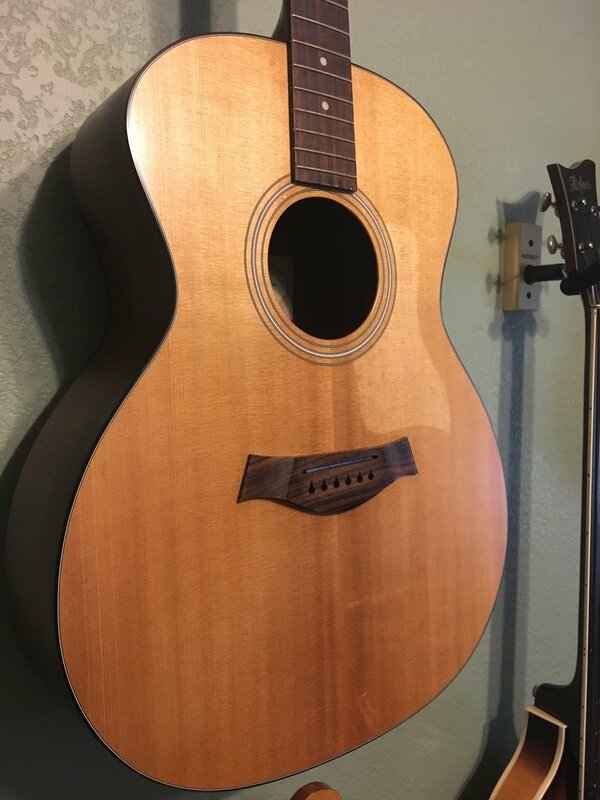 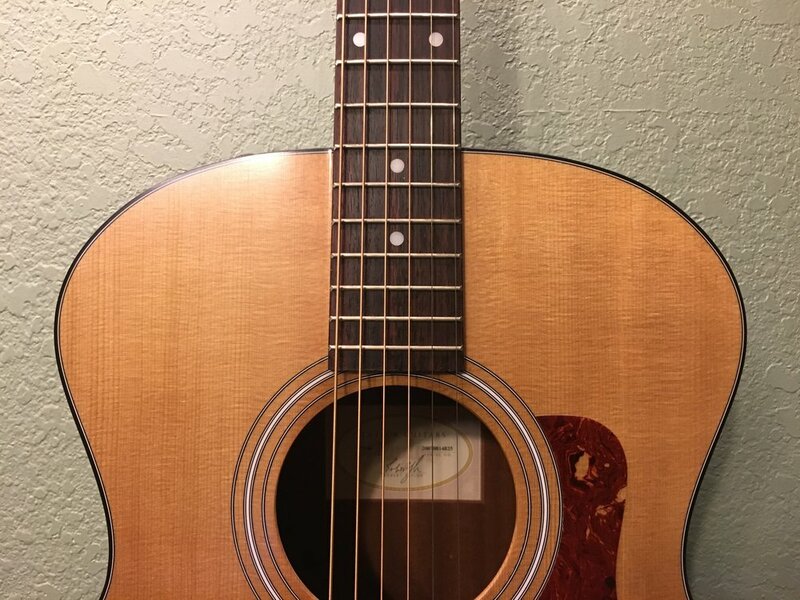 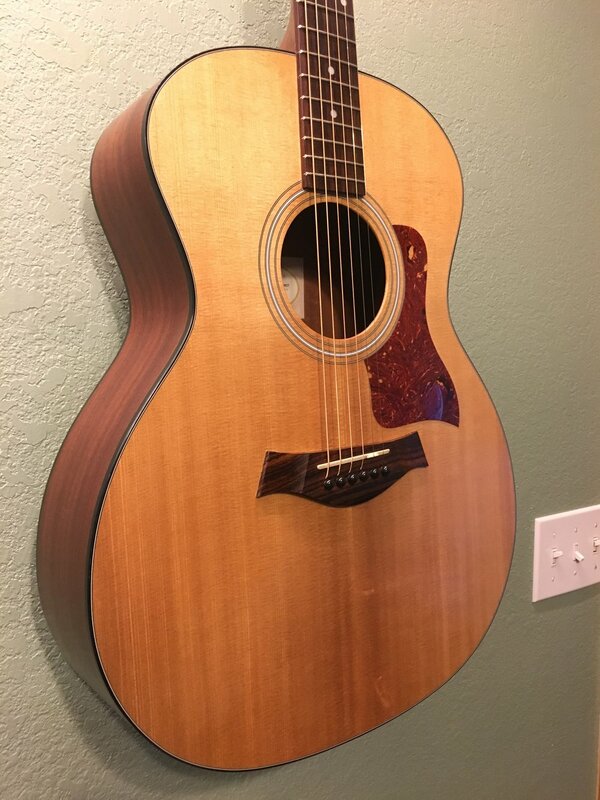 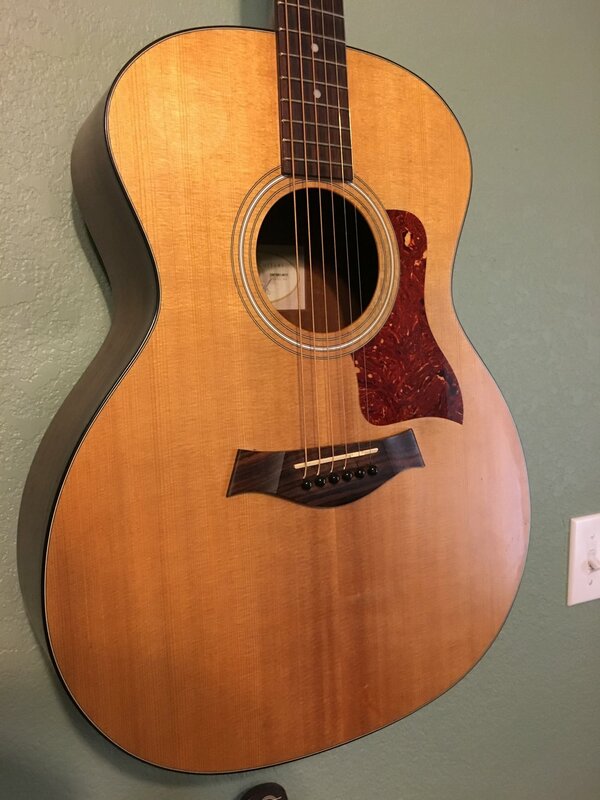 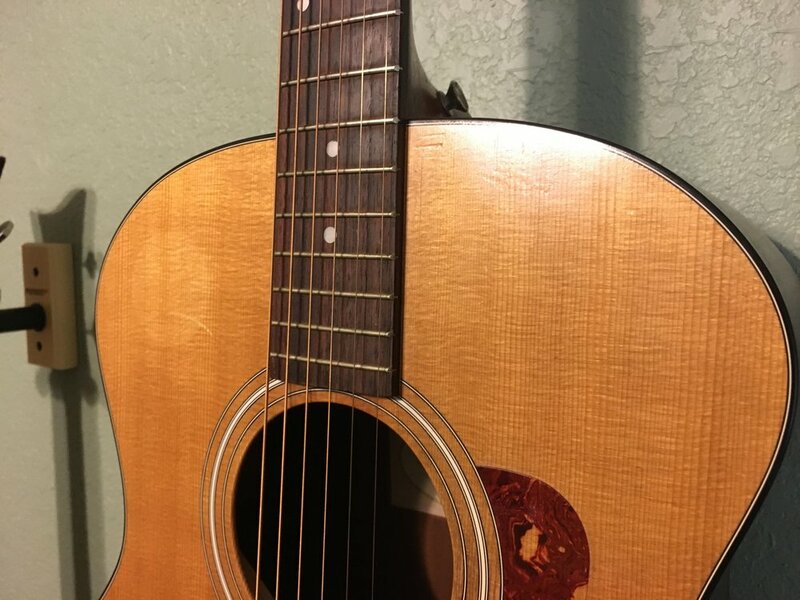 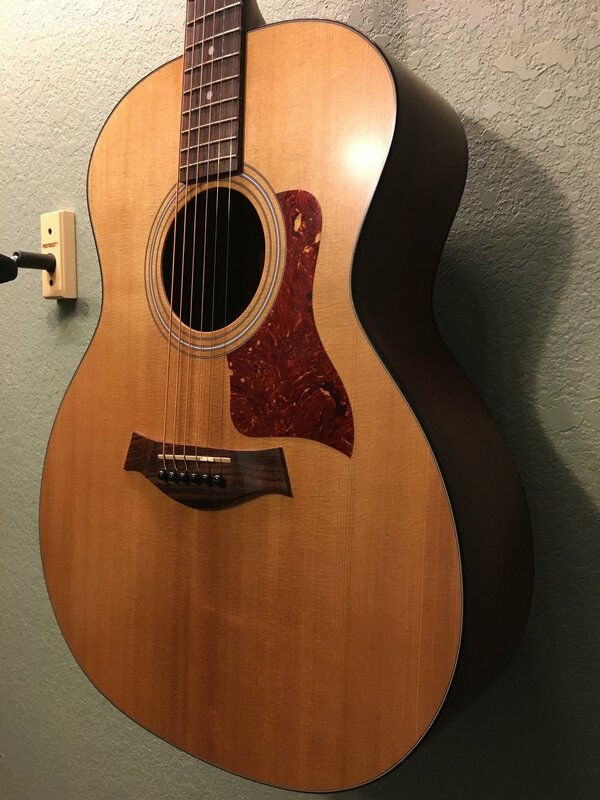 This '07 Taylor acoustic had a sticker on the upper left face of the spruce top. 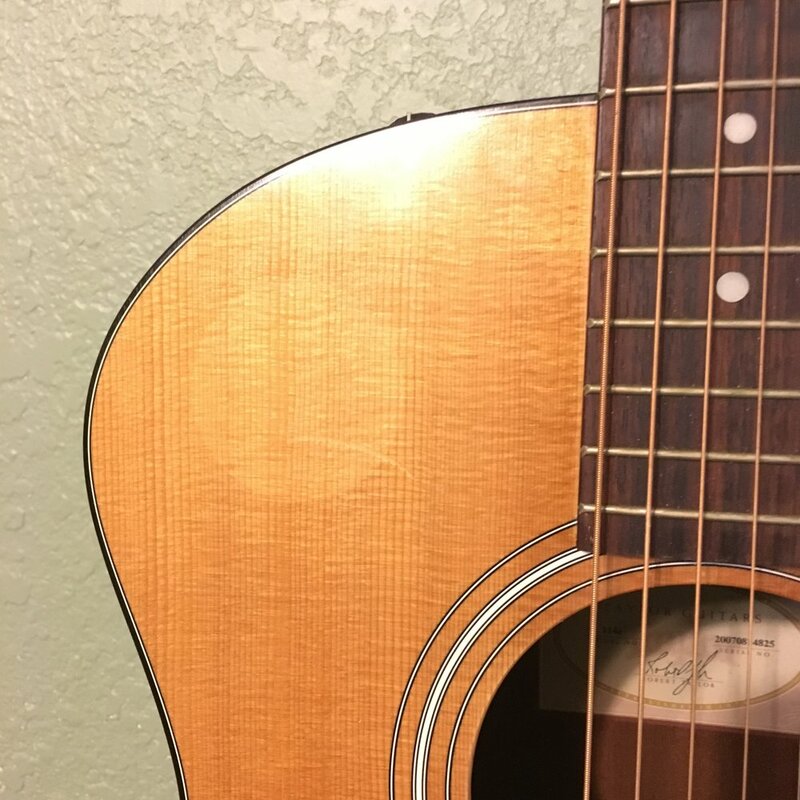 When the sticker was removed by the second owner it left a light spot due to sunlight aging the rest of the top. 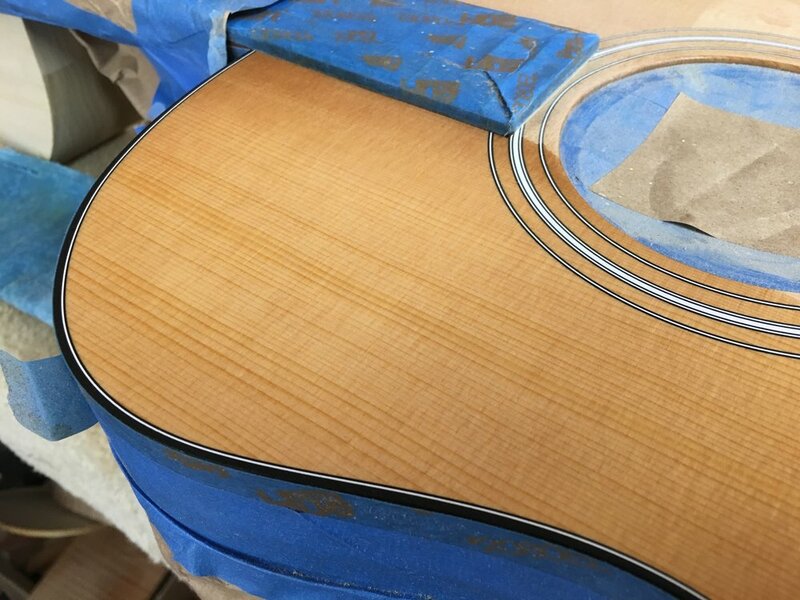 We opted for just refinishing the top and leaving the sides alone. 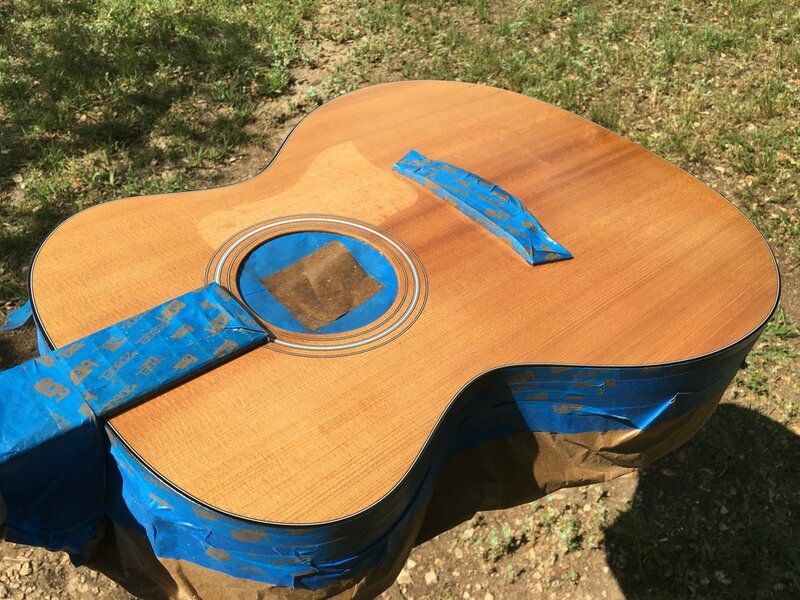 Stripping of the original finish and some sanding of the spruce took out the spot. 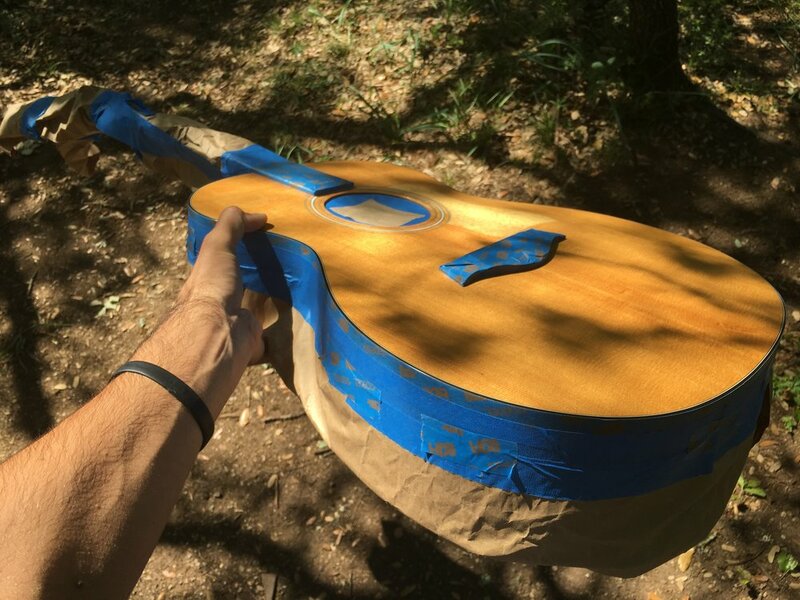 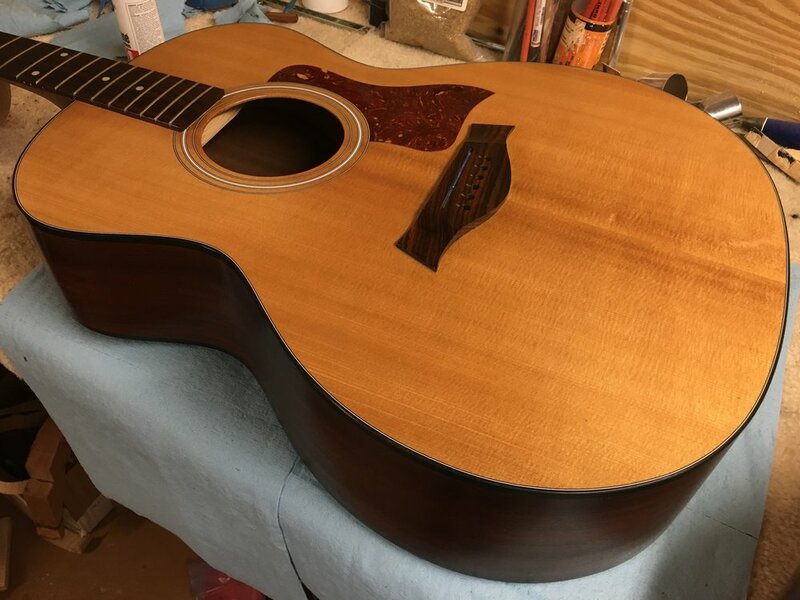 A light vintage amber shading of the first coat of new lacquer brought back the aged tone of the spruce and the last coat of lacquer included a bit of flattening compound to match the original satin sheen.